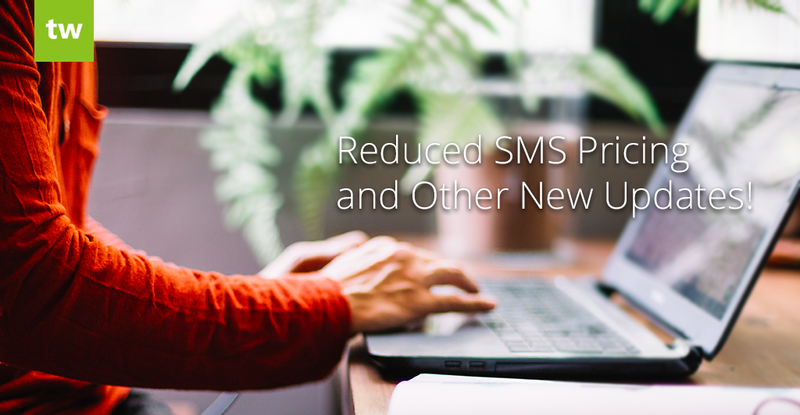 Reduced SMS Pricing and Other New Updates! Thanks for all the feature suggestions! Your feedback allows us to improve the Teachworks experience for everyone. Here’s a quick overview of what we’ve been working on this month to provide you with great management software for your education business. The first phase of our API is now available and has endpoints for retrieving and listing records. In the second phase, we will be adding endpoints for additional actions such as create and update. We will be adding these endpoints based on the requests that we receive from companies using the API, so if you have any particular requirements, please let us know so that we can make a note of it. It is now possible to download the Services List. To do this, go to Account & Settings -> Services List and click the “Download Services” link in the sidebar. The branch name is now displayed in the “New Form Submission Received” notification (a notification that’s sent to companies using our Custom Enrollment Forms Add-On) – this is especially useful for companies with multiple branches. We’ve added a link to “All Lessons” under the “Recent Lessons” section on student profiles to make it a bit easier for teachers to access more lessons for students with a single click! We’ve added a separate permission setting for staff profiles to manage the company’s subscription settings. If you’ve used our Custom Profile Fields Add-On to add checkboxes on client and employee profiles, you might have noticed that the values are displayed as a “1” or a “0”. These will now display as “Yes” or “No” to make it a bit more user-friendly. It’s now possible to enable payment options on the sync settings page for QuickBooks. When you sync an invoice to QuickBooks, the enabled payment methods are enabled on the invoice created in QuickBooks. So, if you have these options enabled in your QuickBooks account, they will display on invoices that you send to your clients. *Use these options if you send invoices to customers directly from QuickBooks and have online payments in QuickBooks. The “Address Line 2” field is now included in the student Excel download. We fixed a bug that occurred when inserting URLs in the lesson notes fields on iOS devices. The bug caused a modal backdrop to remain. We also added a feature to remove the backdrop on touch devices by tapping it.